Nice analysis of Microsoft strategy. I think it may be hard to have a "grand unifying ui" though: these are fundamentally different contexts. 2011 was in many ways a quiet (albeit thoroughly profitable) year for Microsoft. The company made big, important announcements—the Nokia partnership, the Windows 8 reveal—but neither had much impact in 2011. Nokia has released only a couple of handset models in a few countries this year, and Windows 8 is not yet in beta. 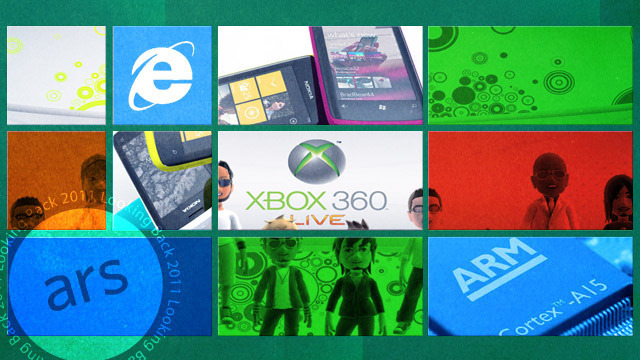 2011 for Microsoft was all about telling us what to look forward to. 2012 will be when that talk becomes real. 2012 will be when lots of Microsoft's talk becomes real.